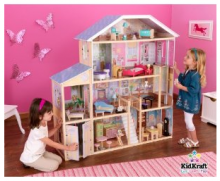 For the last two years I have told you about the Kidkraft Kitchen we bought Emma for Christmas. It was really big for her as she was only 18 months old at the time. That play kitchen was the best investment we have ever made! She uses that kitchen every single day. When kids come over, it’s the only thing they want to play with both boys and girls. 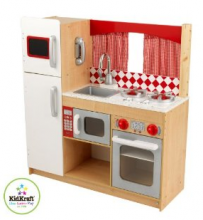 Amazon has an awesome Kidkraft Suite Elite Kitchen on sale for only $97. This kitchen is regularly $179, that’s almost 50% off! Plus, there is FREE shipping with Amazon Prime. One of the great things about this gift idea, it will last a very long time!